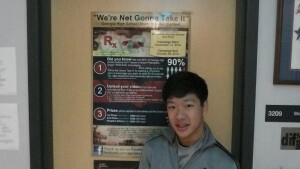 Peter Vuong, a senior at Dunwoody High, won the Georgia Attorney General’s 2016 “We’re Not Gonna Take It” campaign video contest. 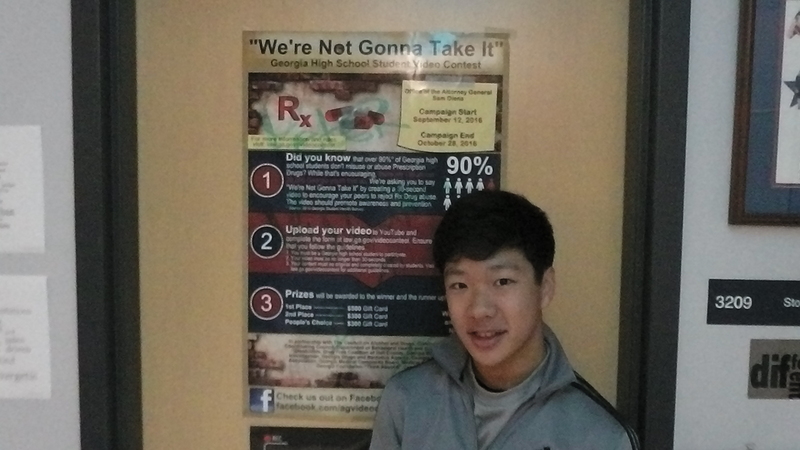 Peter Vuong, a senior at Dunwoody High School, won the top prize in the Georgia Attorney General’s “We’re Not Gonna Take It” campaign video contest. Participants in the contest were required too will be aired on local television stations in January. Tammy Wichman of Dunwoody High’s Mass Communications Academy guided all seniors in the academy to enter a 30-second video into the contest. Peter will receive his award at a celebration in January. Be sure to check out his award-winning video!